In a world that struggles to come together, Rockford is a community where creatives collaborate. Recently, two companies and a series of creatives came together to collaborate on a T-Shirt launch and karaoke party. The two companies: Rockford Art Deli (RAD) and Eight Fifteen Capital, LLC, are home-grown organizations that share a positive vision for the future of Rockford. Both entities are intentional about their collaborative approach to creating a new narrative through social economic development efforts. 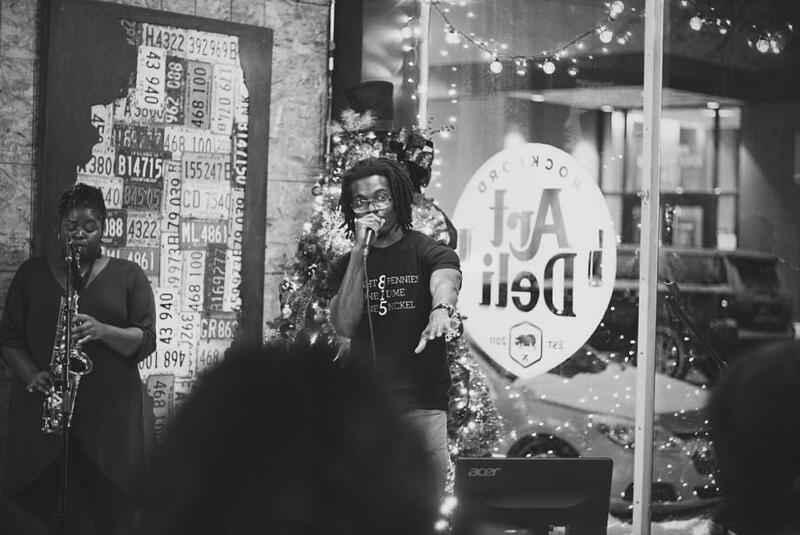 The “8 Pennies 1 Dime 1 Nickel” T-Shirt reflects the movement within Rockford, “the 8-1-5”, toward a collaborative versus competitive approach to success within the entrepreneurial and creative community. Let’s examine how “Rockford” this effort really is. RAD is known for making T-Shirts that tell stories about the past and present of Rockford. 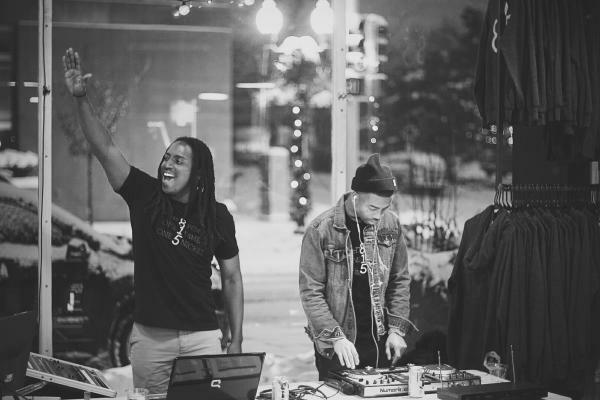 The phrase, “8 Pennies 1 Dime 1 Nickel,” is the title of a song about Rockford by Raju ft. DJ Brickrock, two Rockford artists (you can check out Raju live at the upcoming FVV All-Star Party on Feb. 19). Eight Fifteen Capital is a company started in Rockford advancing a collaboration strategy - working with companies to create products and bring people rich experiences and quality relationships. The skinny - RAD and Eight Fifteen Capital invested in a T-Shirt about a song made by two Rockford artists. Then, they hired a Rockford DJ, The Man of Culture, to host karaoke during the party to launch the T-Shirt and a Rockford videographer, Pistolz productions, to capture the entire experience on video. It’s like ordering a double Rockford burger, on a Rockford bun with a side of Rockford sauce. This story is powerful because most creative entrepreneurs are so driven to identify a competitive advantage that they develop a collaborative blind spot. In a capitalistic society, people are groomed to compete for grades as youths and for money as adults. Due to this dynamic, most people struggle to see the value in collaboration, and as a result, the scale of our ambition is never optimized. This happens in the private sector and the public sector, for the same reasons prioritization of self-interest and lack of emotional maturity. Overcoming our individual blind spots through diverse connections and creative collaborations are essential to the long-term prosperity of our community. Why? The quality of life has become increasingly important for employers and millennials when selecting a community to live, work and play. While working at the Rockford Economic Development Council I was a member of the business attraction team, and my job was to answer the question, “Why Rockford?” No one wanted to hear about anything they could find on Google. Everyone I spoke to wanted to know where they could find the best food, where they could volunteer, or the best place to grab a drink on a Friday or Saturday night. Bottom line, people want to live in a community they feel socially and emotionally connected to with rich experiences and quality relationships. What is the solution? Community members, entrepreneurs and creatives alike, must realize the complexity of the economic, environmental and social opportunities facing communities across the country. Then, develop a diverse perspective toward the opportunities. Part of the dynamic in our community is acknowledging the need for diverse opportunities for engagement. This means we must avoid the “echo chamber” and surround ourselves with people who think and feel differently about opportunities than we do. Joshua is a Realtor with Keller Williams Realty, Inc. and the President of The Wabongo Leadership Council.